Diversity is the nature of world and inevitable to human life; we all need varieties in our day-to-day life, be it the food we eat, the clothes we wear and the way we lead our lives. When it comes to safety at work, the first thing strike is about safety of workers and employees who are exposed to dangerous working conditions. Weather, chemicals, slippery and rough floor, electric hazards, water, oil are some of the common elements that causes disaster to workers on the field. Here we have top 5 safety boots in India that workers can leverage to their safety at work. Safety shoes are not all about hard body, heavy sole but it has got amazing variety that workers can enjoy and choose according to their own comfort and nature of work field. Safety boots are commonly used by welders who are exposed to the hazards of fire, electricity, and greasy surfaces. The safety boot having strong pull strap helps resisting the impact of chemicals, water, and fire and has the insulated sole which protects against electric shocks. Safety boots designed to be worn at construction sites are easy to wear especially in hot and humid areas; the wearer can easily take this off. It facilitates ease of working and doesn’t halt the speed of worker. 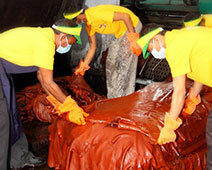 It ensures protection against oil, water, chemicals and protect against the accidents of slipping and skidding. Defense safety boots are specially designed to give extra protection to the wearer who is on duty in the extreme weather and fragile working condition. Mine workers have to work hard, surviving the challenging weather and accident-prone working conditions. 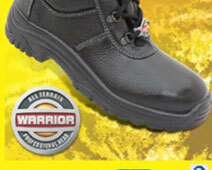 Safety boots designed for mine workers help them to stay protected against the possible hazards. Workers who are involved in hospitality industry have to work consistently on their toe; they require comfortable footwear that can protect them against the mishaps of slipping, skidding etc.